Water system sustainability and the need for change. If you’ve followed the preceding six installments in our Ops Talk series you’ve been presented with various facets of Water for Good’s 14 years of “learning a strategy under conditions of complexity”; conditions which, by definition, defy development practitioners’ best attempts at designing, deploying theories, and models of change. In this installment, we thought we’d lay out some of the challenges that have had us scratching our heads as we work to build the potential for public-private partnerships (PPP) in the Central African Republic. We develop the local private sector’s capacity to work with and for the government on the provision of rural water services. Since the beginning, we’ve been operating inside of a poverty fighting NGO, as compared to an NGO trying to find business solutions to poverty. Most people look at the Central African Republic and see a “complex emergency” ripe for both humanitarian response and the restoration of state capacity. Water for Good is a case study in what happens when, instead of exiting or shifting to humanitarian interventions, a development organization forces itself to stay and stick to a developmental mandate. Truth is, we had no choice. 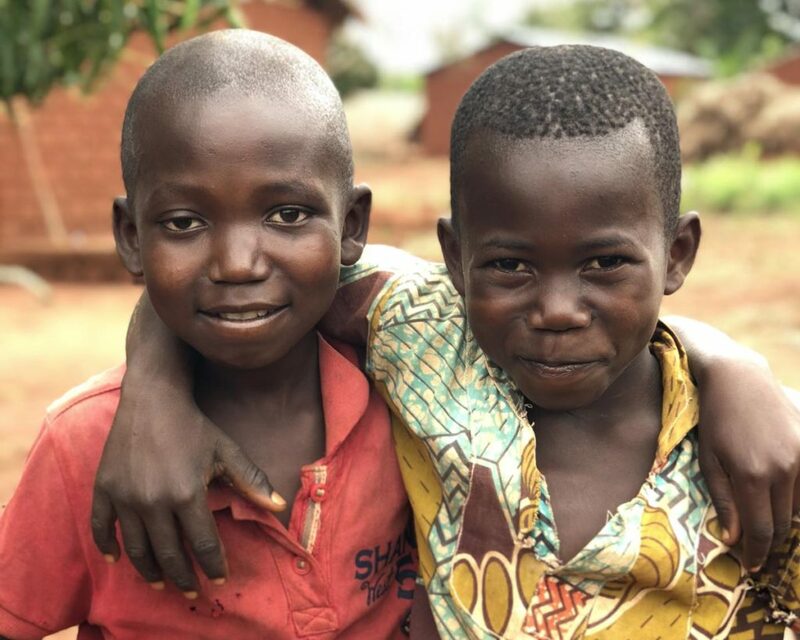 Water for Good was started as the result of the Central African Bush War of 2003 – 2007 when all of the assets of a Central African for profit borehole drilling and pump maintenance company, Sanga Forage, were gifted to our community development organization. Over the next 5 years, we grew our expertise and geographic scope. We continued our operations throughout the Central African Civil War of 2012 – 2014. This unique history has kept us in the fragile state, focused on building rural water infrastructure as proxy private sector providers; a context that we think is ready for learning the sorts of lessons that might have broader relevance as extreme poverty retreats into fragile states. Despite calls for funding schemes that bridge the humanitarian – development divide, ODA funding in CAR follows emergency, short-term priorities. Knowing this, we have worked to increase alternative funding from non-ODA sources, such as US private individual giving and grantmaking, which is a USD $410 Billion market. Private individuals, organizations such as charity:water, and other companies have understood what we are doing and have been providing us with the philanthropic risk capital required by our strategies. Waiting for ODA priorities to shift would never have worked in CAR; besides, grant funding is known to be the most unreliable and least autonomous form of funding available. Although INGOs clamor for more money, the bigger problem is the lack of funding for countries like the CAR. The type of money available to WaSH organizations only ensures short-term crisis optics and very little incentive to change. To innovate, funding must be reliable and permit high levels of recipient autonomy. Hiring Central Africans on full-time contracts, providing careers instead of project-based short-term gigs. A full-time career Central African staff has allowed us to avoid landing expats, which has been key for continuous operations throughout the 2012-2014 crisis and its lingering effects. Positioning our funding as startup capital and launching a Central African drilling business as a way to combat the tenderpreneurism which allows foreign multinationals to hoover out the WaSH money coming into the countries like the CAR. Is it really any wonder why the local private sector remains underdeveloped? With private funding giving us the flexibility to iterate “fail fast” solutions to complex problems and the ability to design/ deploy experiments based on local knowledge, over the years, we have gradually reduced our scope away from WaSH type health outcomes to something perhaps less interesting but seemingly more accountable to the people we serve. We want to be sure the community is getting the product they want, when they want it, at a price and condition they deem fair. A local staff maintaining ongoing relationships has created access to local knowledge which has not only allowed us to keep working in CAR when others had to pull out but has also kept us focused on realities as viewed from the ground. Our singular focus on sustainable water is a direct result of our Central African colleagues reminding us that “you can’t drink health”. WaSH is an imported health outcome construct that is often more of a distraction to what we have to measure and deliver on to keep up our contractual obligations to communities we serve. For Central African communities, a functional well and pump is a utility that generates revenue for the community. When it functions, they make money. When it breaks, they don’t. To date, our professional pump service technicians have delivered over 10,000 interventions on now 1,200 different water points, covering 12% of the population of the country. All in an effort to deliver on what their customers have held them to account for: functional pumps. Perhaps the Water for Good experience is unique, but in order to create a systemic response to what Central Africans were asking for, we had to unbundle WaSH and get real about the sustainability of the W, since these interventions have very little in common operationally. This one might seem a bit “soft” for an Ops Talk, but we are increasingly convinced that our legitimacy and effectiveness are due to the relationships of trust generated over years through the continued presence of our professional pump service technicians in the communities they have served. Water for Good field technicians are not seen as an NGO by most communities. They are seen as a local Central African service provider. They don’t come in and out as project funding allows, but rather have provided a consistent and ongoing service in communities despite insecurity, bad infrastructure, and other challenges. Additionally, we work under and with the government. While our focus is not on building government capacity directly, we coordinate with the relevant ministries and have developed the local private sector partners that they can rely on for water service delivery. Perhaps in CAR where the legitimacy of the state has floundered, PPPs play an even more important role. There are reasons to believe that private-sector building isn’t the opposite of state-building, and in fact can play a mutually enforcing role in increasing the legitimacy of the government in its efforts to repair the broken social contract in conflict-affected states like the CAR. But really, why prioritize fragile states? We understand that the connections between growth and development are tenuous in countries like the CAR. We also know that by 2030, an estimated 80 percent of the world’s extreme poor will live in fragile states. These countries are already seriously behind in their implementation of strategies for meeting the SDG targets. Water for Good’s full country coverage plan for CAR might be worth looking into as one such “new strategy” in development. So, what do YOU think of our new strategy? Please join the conversation! Comment below or connect via email.